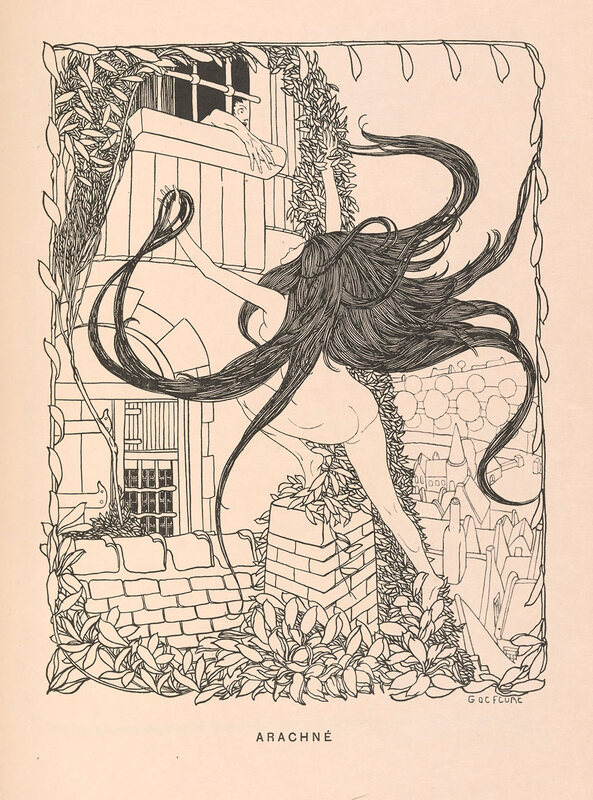 Delirium: The Art of the Symbolist Book explores creative encounters between Symbolist authors and the artists in their circles. 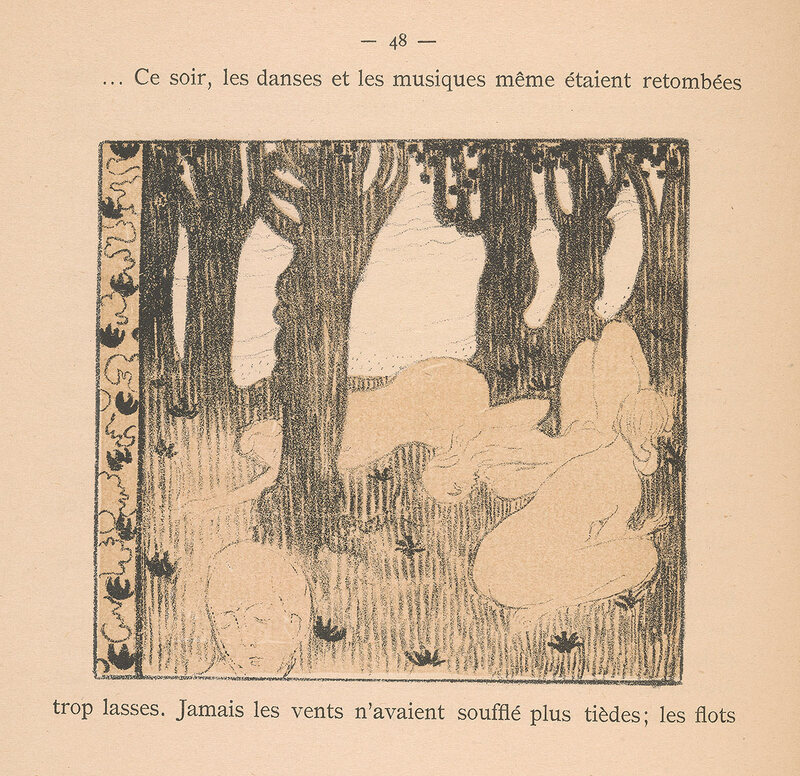 The movement coalesced during the second half of the nineteenth century as writers in France and Belgium sought a new form of art—one that referenced the visible world as symbols that correlate to ideas and states of mind. The Symbolists celebrated subjectivity, expressed through a nuanced language of reverie, delirium, mysticism, and ecstasy. For these writers, literature suggests meaning rather than defines it. The Symbolist movement was a revolt against naturalism, with an emphasis on allusion and self-expression that resonated with contemporary painters, who were in turn inspired to translate these ideas to visual art. 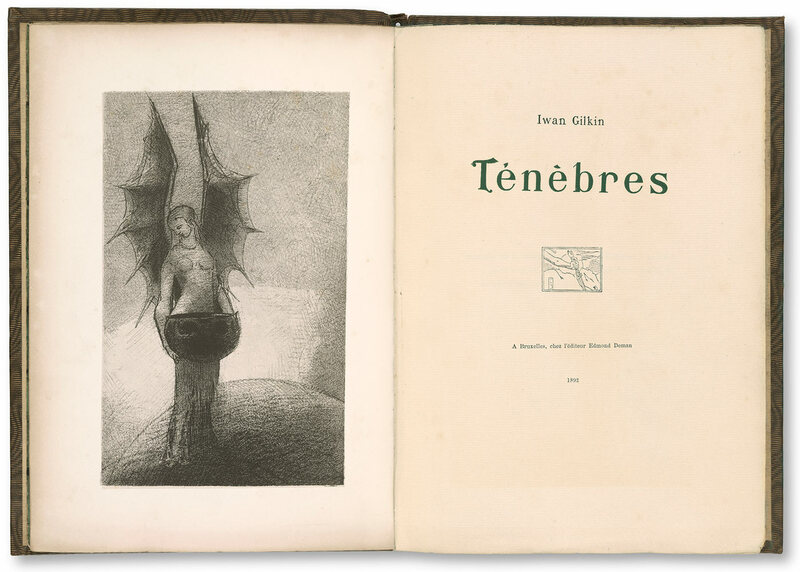 Collaborations in print with Symbolist writers presented artists with a paradox: to create illustrations for words deliberately detached from explicit meaning or concrete reality. 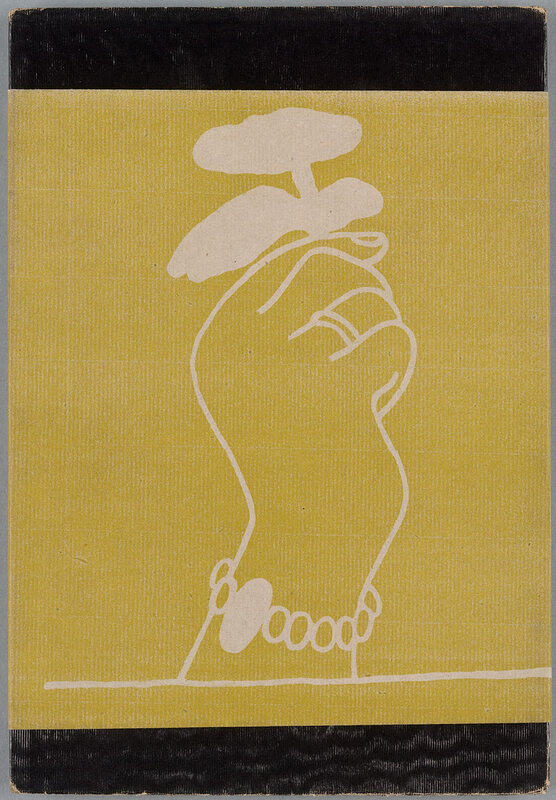 Divergent attempts to meet this challenge helped to liberate illustration from its purely representational role, introducing an unchartered dialogue between text and image. 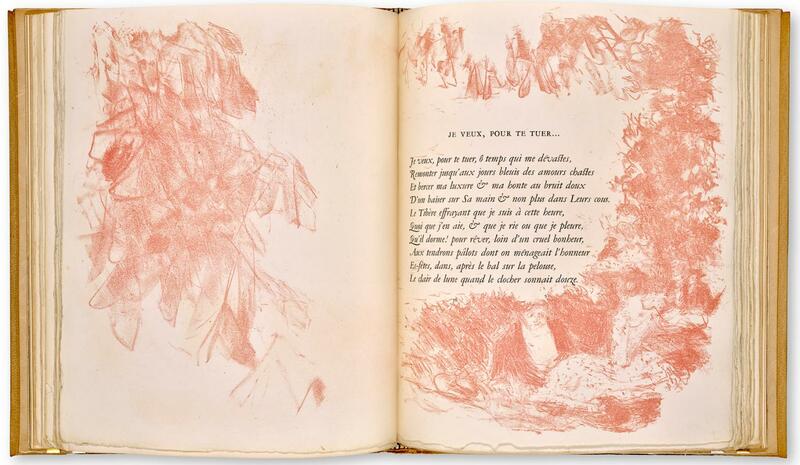 These developments informed the emergence of the concept of the book-as-art, a tradition that continues today. 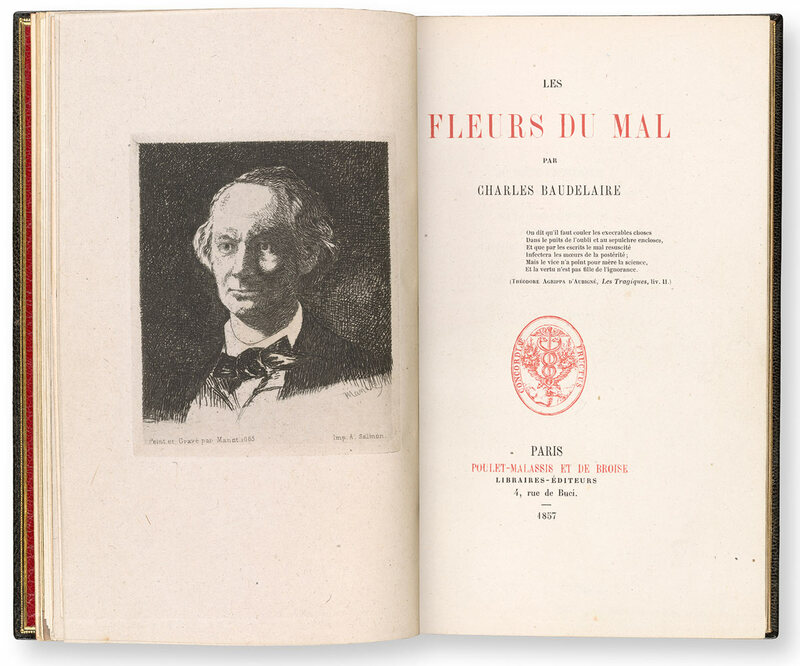 The exhibition features works by more than thirty leading figures, including Charles Baudelaire (1821–1867), Stephane Mallarmé (1842–1898), Paul Verlaine (1844–1896), Alfred Jarry (1873–1907), Maurice Maeterlinck (1862–1949), Odilon Redon (1840–1916), Maurice Denis (1870–1943), Pierre Bonnard (1867–1947), Henri Fantin-Latour (1836–1904), Henry van de Velde (1863–1957), and Fernand Khnopff (1858–1921). 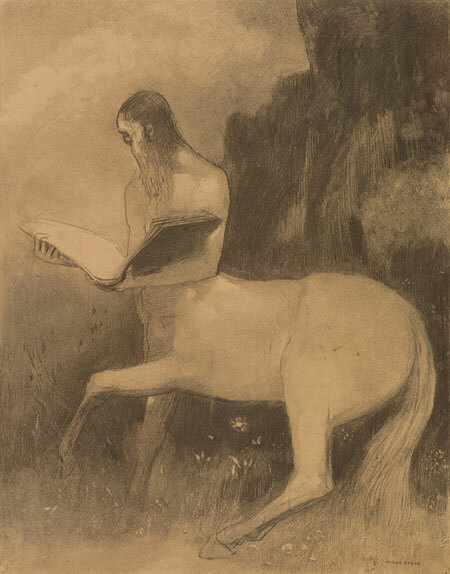 Delirium: The Art of the Symbolist Book is made possible by the Charles E. Pierce, Jr. Fund for Exhibitions. Odilon Redon (1840-1916), Centaure lisant, 19th century, Charcoal on light brown paper. The Morgan Library & Museum, Thaw Collection. 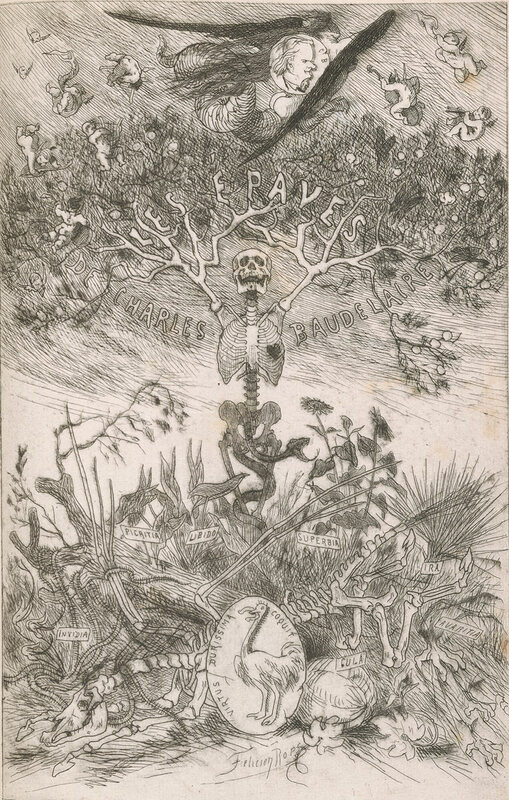 Félicien Rops, artist (Belgian, 1833–1898), Charles Baudelaire (French, 1821–1867), Les épaves, Amsterdam [i.e., Brussels: Poulet-Malassis], 1866. The Morgan Library & Museum. Odilon Redon, artist (French, 1840–1916), Iwan Gilkin (Belgian, 1858–1924), Ténèbres, Brussels: Edmond Deman, 1892. The Morgan Library & Museum. 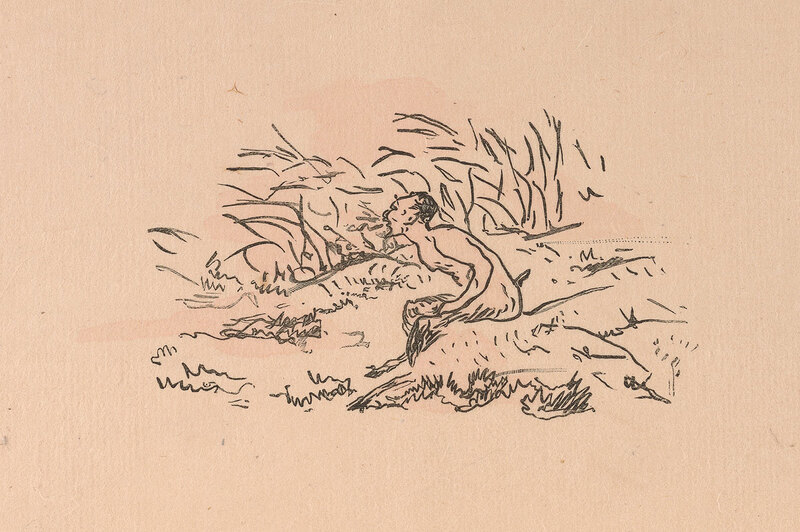 Édouard Manet, artist (French, 1832–1883), Stéphane Mallarmé (French, 1842–1898), L’après-midi d’un faune, Paris: A. Derenne, 1876. The Morgan Library & Museum. 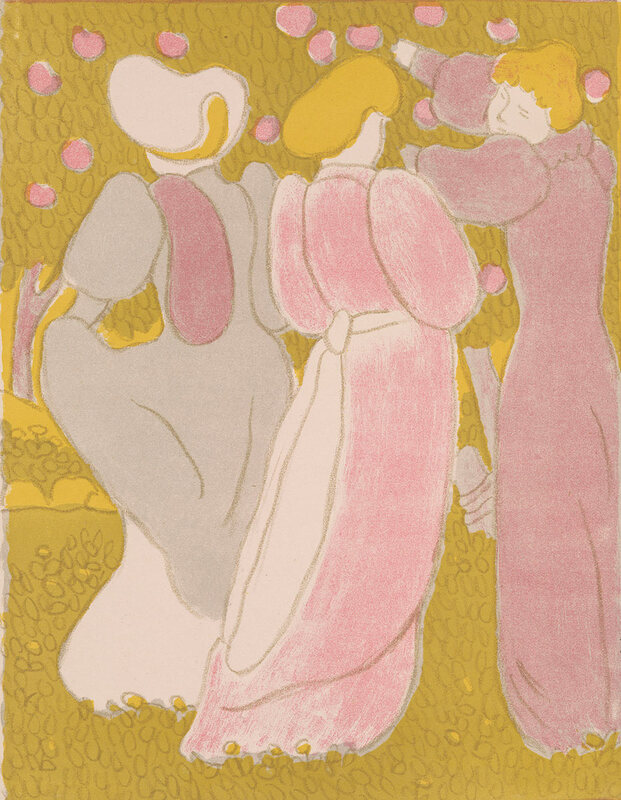 Maurice Denis, artist (French, 1870–1943), André Gide (French, 1869–1951), Le voyage d’Urien, Paris: Librairie de l'art indépendant, 1893. The Morgan Library & Museum. 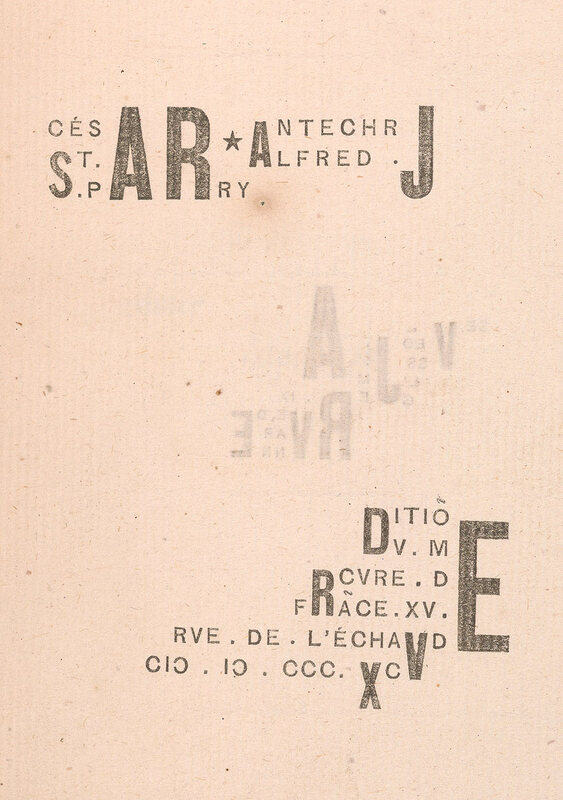 Alfred Jarry (French, 1873–1907), César antechrist, Paris: Édition du Mercure de France, 1895. The Morgan Library & Museum. 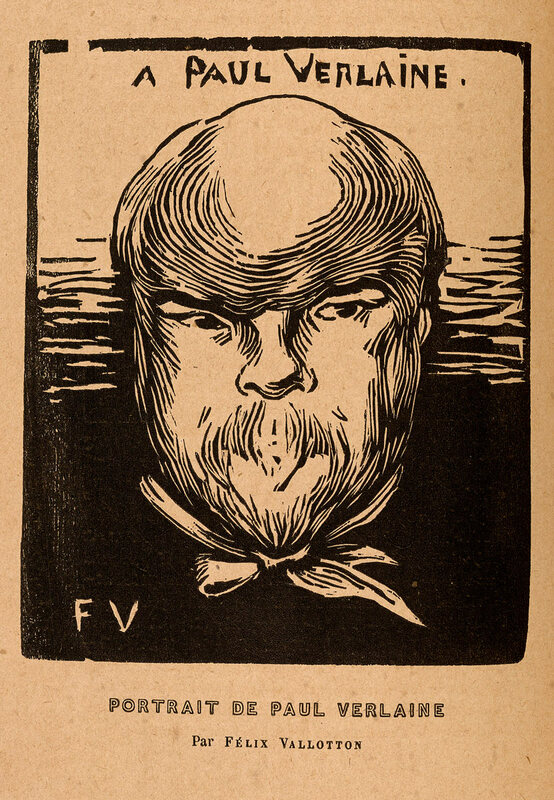 Félix Vallotton (Swiss, 1865–1925), Portrait of Paul Verlaine, 1891, In L’Art et l’Idée (Paris: Quantin, 1892). The Morgan Library & Museum. 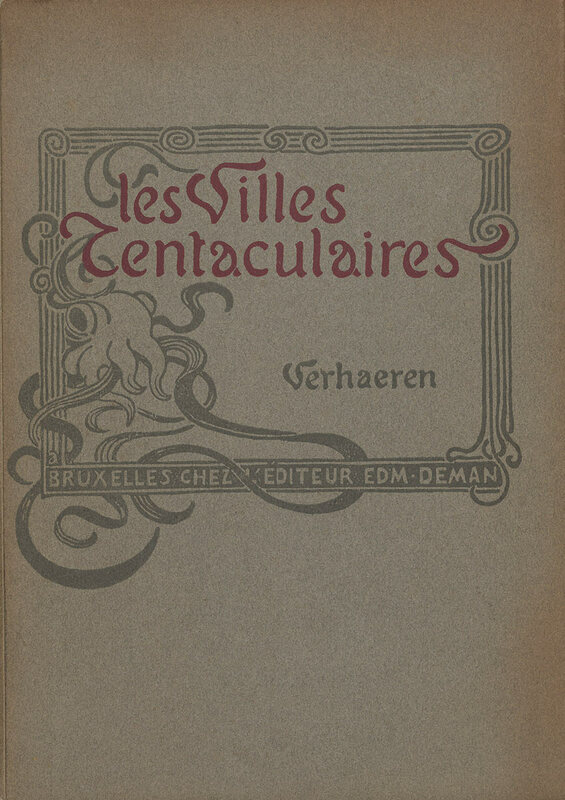 Théo van Rysselberghe, artist (Belgian, 1862–1926), Emile Verhaeren (Belgian, 1855–1916), Les villes tentaculaires, Brussels: Deman, 1895. The Morgan Library & Museum. Georges de Feure, artist (French, 1868–1943), Marcel Schwob (French, 1867–1905), La porte des rêves, Paris: Pour les Bibliophiles indépendants chez Henry Floury [Octave Uzanne], 1899. The Morgan Library & Museum. Carlos Schwabe, artist (Swiss, 1866–1926), Olive Schreiner (South African, 1855–1920), Rêves, Paris: Flammarion, 1912. The Morgan Library & Museum. 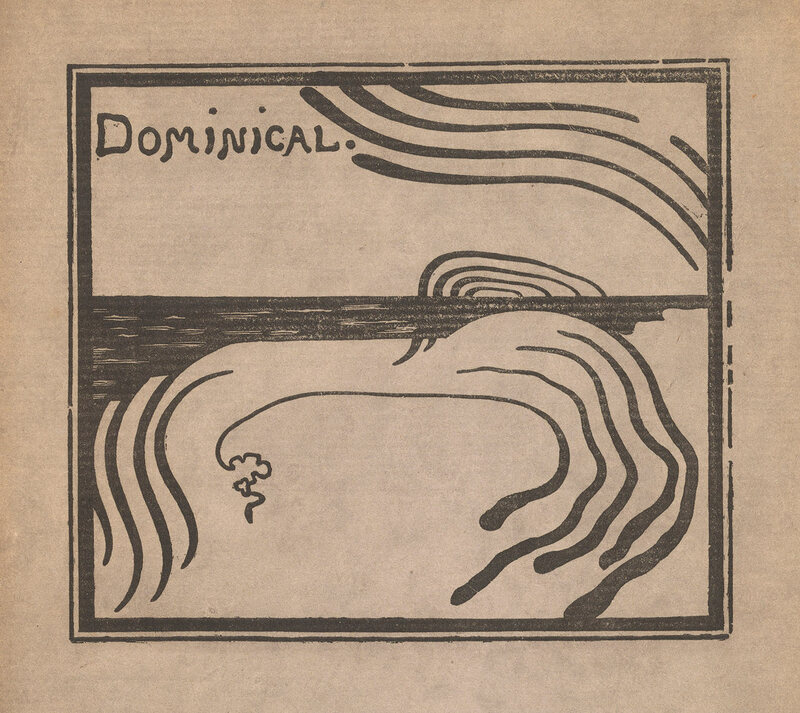 Henry Van de Velde, artist (Belgian, 1863–1957), Max Elskamp (Belgian, 1862–1931), Dominical, Anvers: [s.n. ], 1892. The Morgan Library & Museum. József Rippl-Rónai, artist (Hungarian, 1861–1927), Georges Rodenbach (Belgian, 1855–1898), Les vierges, Paris: Siegfried Bing, 1895. The Morgan Library & Museum. 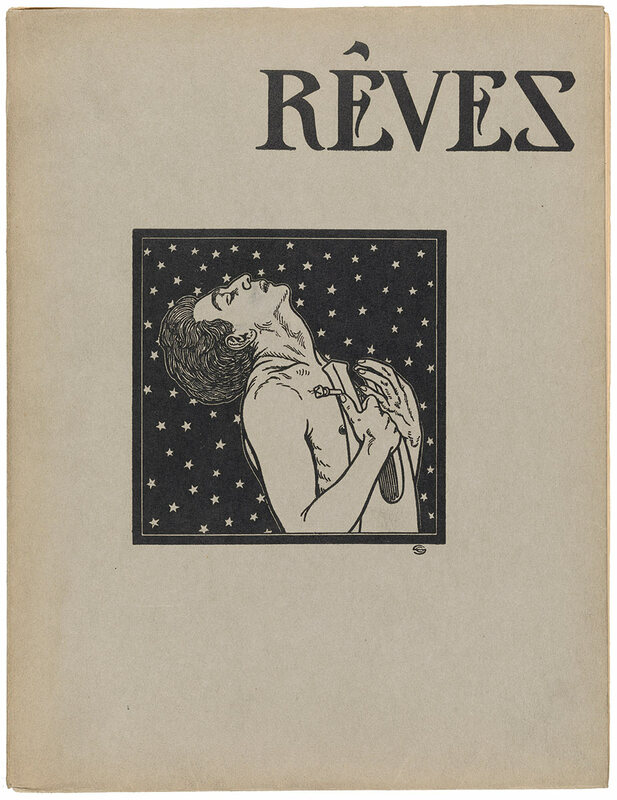 József Rippl-Rónai, cover artist (Hungarian, 1861–1927), Georges Rodenbach (Belgian, 1855–1898), Les tombeaux, illustrated by James Pitcairn-Knowles, Paris: S. Bing, 1895. The Morgan Library & Museum. Pierre Bonnard, artist (French, 1867–1947), Paul Verlaine (French, 1844–1896), Parallelèment, Paris: Ambroise Vollard, 1900. The Morgan Library & Museum.